Z-Wave Technology enables our sophisticated modules to create and manage their own wireless network within your home to control products from over 300 manufacturers into one seamless network. It all works by gathering and processing information about your home and making intelligent decisions about what you want turning on, off, up or down. 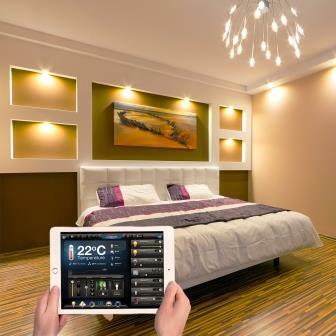 Smart Home Installations usually take just one day and with Z-Wave technology our smart home systems are an ideal retro-fit with no new wiring to install. 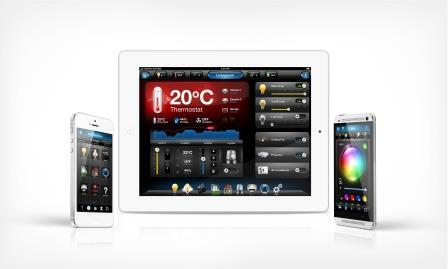 Fibaro is the complete solution for smart home automation, smart home monitoring and smart home management. Fibaro’s control modules and sensors allow you to intelligently control your home environment to maximise energy efficiency, comfort and safety. The Fibaro system uses Z-Wave wireless technology which eliminates the need to install new cables, making it an ideal retro-fit solution for your home. Fibaro is designed to work in harmony with the home technology you use every day or your lives. When you leave your home, Fibaro can automatically switch o­ff your electrically controlled appliances to save power, or to warn you if you forget to close a window or door. Every time you turn your lights on Fibaro sensors will take a reading of the natural light level and dim them to just the right level to provide perfect illumination to save energy. In the event of a flood, Fibaro can shut off­ your water supplies to prevent damage to your home and its contents. If you go out and forget to set your alarm, Fibaro will message you and ask if you want to enable the alarm remotely. It will also control your CCTV and allow you to monitor your home and garden from anywhere you have an internet connection. If you leave the room and forget to turn your iron off­, Fibaro can switch it off­ for you to help prevent a fire. Fibaro can also create beautiful lighting, called up at the press of a button. 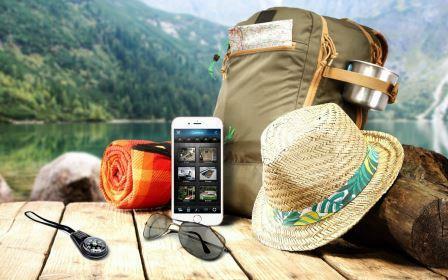 It can track your whereabouts by GPS and switch on your lights, boil a kettle or play your favourite music as you arrive home from a long day at work. You can control the way Fibaro works for you via your desk top, laptop, tablet or Apple or Android smart phone. With Fibaro the possibilities are endless. 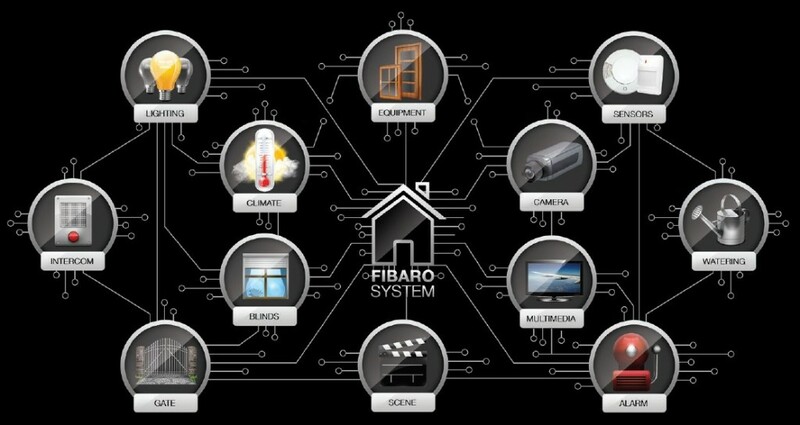 Fibaro is not just a system for wirelessly controlling the appliances and devices in your house. Fibaro is an intelligent personal assistant who can take care of you, your family and your smart home. Fibaro systems update automatically, monitoring and maintaining itself continuously; and will even alert you when other manufacturers’ appliances in your home stop working. Fibaro is the future of smart home technology which will change the way you live by improving your day to day comfort and safety. Try it, and things will never be the same again. Systemline is based in the UK and has been manufacturing multi-room control systems since 1988. Within ten years, Systemline offered the multi-room speaker system of choice for specifiers and architects. And now with the Systemline 7 offering TV sound integration, Systemline offer the most advanced multi-source, multi-room Hi-Fi audio system available. The Systemline 7 multi room Hi-Fi audio system which supports BBC iPlayer, Spotify, Qobuz and Deezer allowing you play all of your favourite songs, playlists and radio stations. 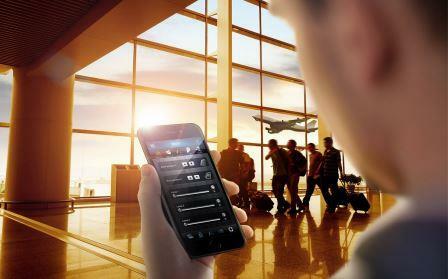 Systemline 7 puts you in total control of your audio listening. From playing a single channel to every part of your home to listening to different media in each room, Systemline is designed to be as versatile and as simple as you like.